Primary School Certificate (PSC) will first exam with English and also 22th, November 2016 all education Board and this exam completed by the Mathematics subject at 29th November, 2016 . and also same time have to Ebtadaiy Education Exam all over the country. 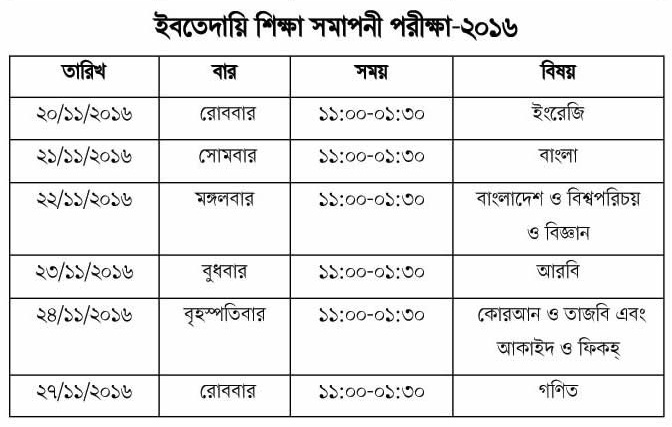 Bangladesh education prime minister nurul islam nahid informed that about (PSC) Exam date by all education board. 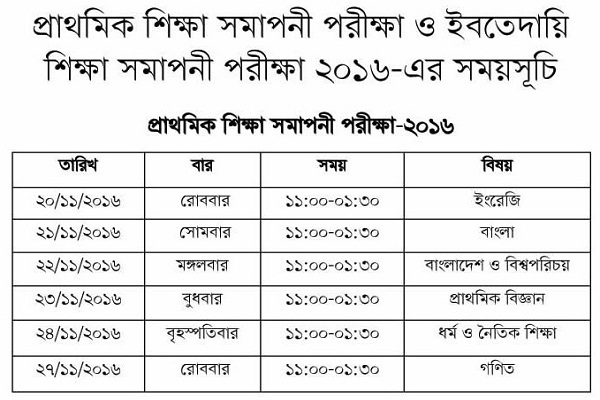 Primary school education exam will be start on 11 A.M to 1.30 P.M all over institute in Bangladesh. And also this year PSC Exam participate 31 lakh students in Bangladesh primary education Board. 27 lakh 99 thousand 613 student in General Education board and also 3 lakh 11 thousand 265 examines attend to Madrasah Education board in a Bangladesh. PSC Result 2016 will be published by First week of December 2016 All Education board Bangladesh. Bangladesh Primary Education board Decision and announce by primary School certificate (PSC) Exam Result Publish date. Catch out your desire PSC Exam Routine Primary Education Board 2016 year.